Did you know that the average office worker uses an estimated 10 000 sheets of paper each year? The copy paper that we use in our photocopiers, printers and fax machines is the biggest paper problem in the workplace. Although highly recyclable, reducing the amount we use is more cost-effective as it reduces the amount of material that needs to be collected, transported and processed. The environmental impacts are that more resources will be conserved and reduced such as water and energy use, but most importantly it will help with the pollution problem that the world faces today. So what can you do to reduce copy paper waste in your organisation? • Use both sides of the sheet of paper when printing, copying, writing or drawing. • Make sure you only print e-mails that you definitely need a hard copy of. • By practicing efficient copying and making use of the size reduction feature more can fit on a standard sheet. • By utilising services such as fax to email and saving, forwarding and sharing faxes digitally toner and printer cartridges contaminating the environment are on their way to becoming a thing of the past. 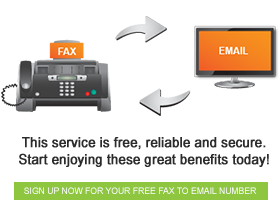 At the end of the day, the main thing to remember is that we have entered a digital age, where we can use digital means like fax to email to save, revise and share various information without needing a hardcopy. There is no good reason to go through 10 000 sheets of paper each year and we all need to make a conscious effort in reducing our paper usage.